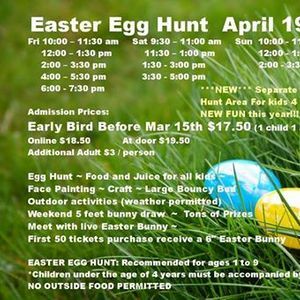 The BIGGEST Easter Egg Hunt event in Markham. This event was SOLD OUT the last 5 years. Get you ticket today to avoid disappointment. Recommended for kids age 1-9. 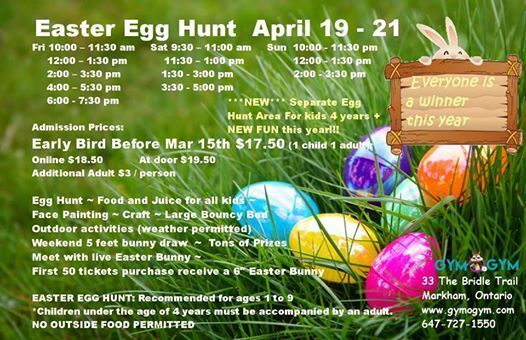 Our Easter Egg Hunt this year is expanding to include indoor activities for kids under the age of 4 / 4-9 years and outdoor activities (weather permitted) for kids 4 years – 9 years. Don't miss this event we ALL LOOK FORWARD TO!! !